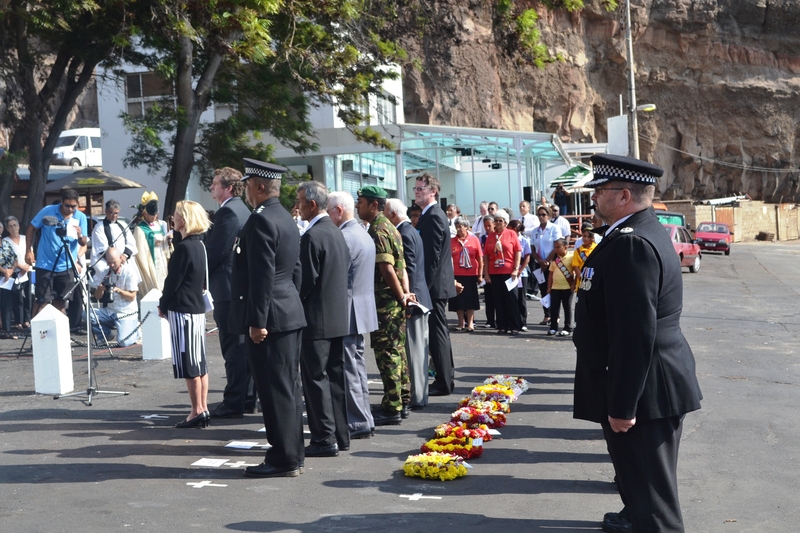 The 70th Anniversary of Victory in Europe (VE) Day was commemorated on St Helena on Friday, 8 May and Sunday, 10 May 2015. An Act of Remembrance was held on Friday, 8 May, with a Service at the Cenotaph at 2.55pm. The Acting Governor, Sean Burns, and Prince Andrew School student, Thomas Hickling, quoted the well-known verse from a poem by Laurence Binyon. The ‘Last Post’ by the Jamestown Scout Group signalled a two-minute silence for those in attendance. 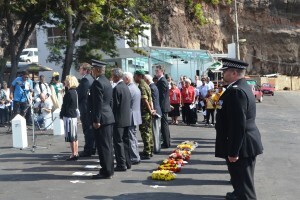 The Territory’s wreath was laid by the Acting Governor, followed by the laying of the official wreaths by the Hon Consul for the French Republic, Michel Martineau, the Royal Navy by Mr Cyril Brooks, the Army by Mr Julian Fagan, the Royal Air Force by Mr Robert Allen, the Merchant Navy by Mr George Buckley and the St Helena Police Force & Emergency Services by Chief Inspector, Merlin George. The Service ended with the National Anthem being sung, following which the Right Reverend, James Johnson, Bishop Emeritus of St Helena gave a blessing. 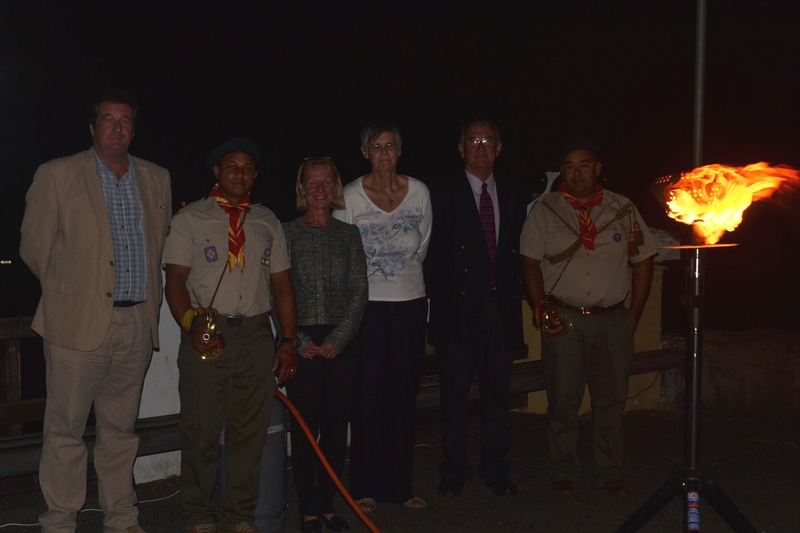 At 9.32pm that evening a beacon was lit on the Terrace, directly above the Archway where Hon Nigel Dollery and Deputy Speaker, Mrs Cathy Hopkins both paid tribute to those who fought in World War II. The beacon was lit by Mrs Hopkins with the ceremony being announced by Scout Leaders, Dax Richards and Anthony Thomas, playing the bugle call ‘General Salute’. A Service of Thanksgiving was held at St James’ Church at 3pm, on Sunday 10 May 2015. Father Fred recalled his experiences living as a child during the war and the Acting Governor spoke about the sacrifices of war, thus bringing an end to the commemorative events on St Helena. Corporate Support would like to thank all those who assisted with preparations for VE Day, and those who attended the services and beacon lighting ceremony. Two pictures are attached with this release.